The smart infantryman will protect their shoulders, especially when holding a shield. 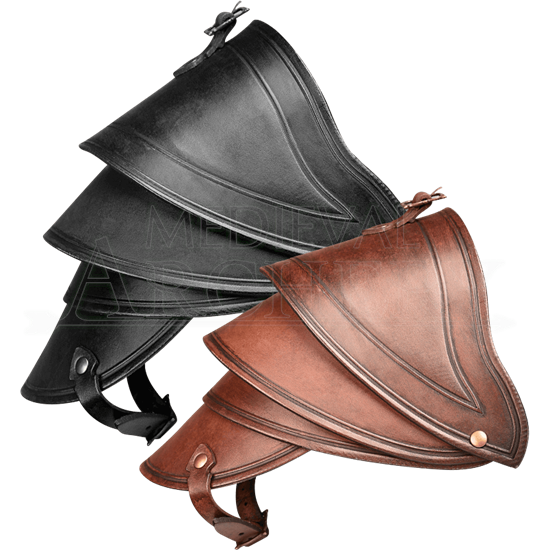 Protect your left shoulder with the Crisso Single Pauldron. Available in two colors, this leather shoulder armour is made of four moving segments which are decorated with embossing. While this single pauldron may work with other armour, it is intended to be attached to the Crisso Shoulder Harness which can be bought separately. 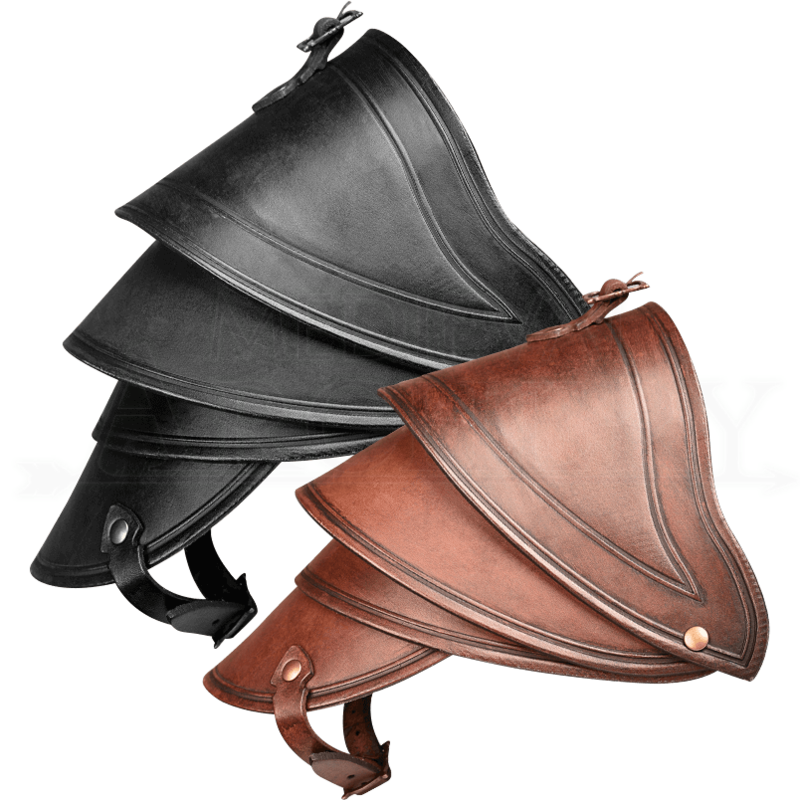 It is ideal for a militaristic or historical touch to any fantasy or LARP outfit.